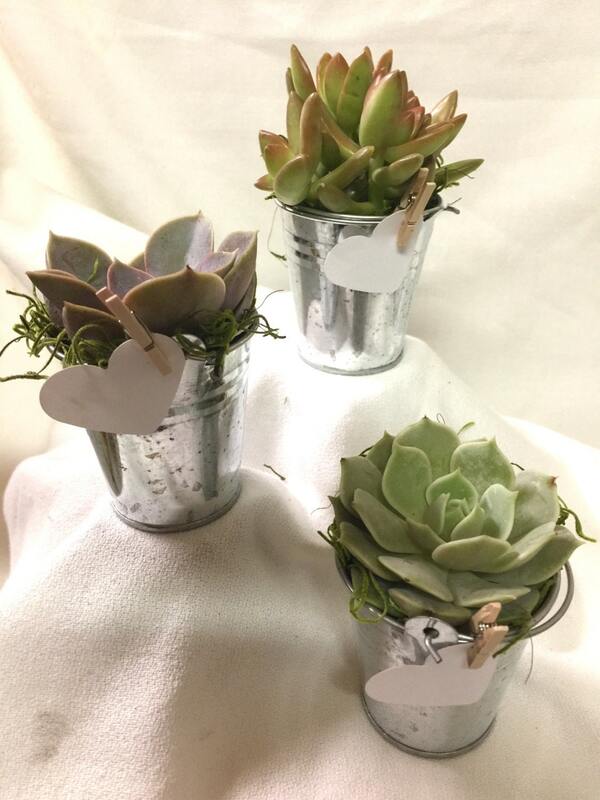 35 Succulent bucket favors, Assorted Premium succulents gifts wedding shower favors. 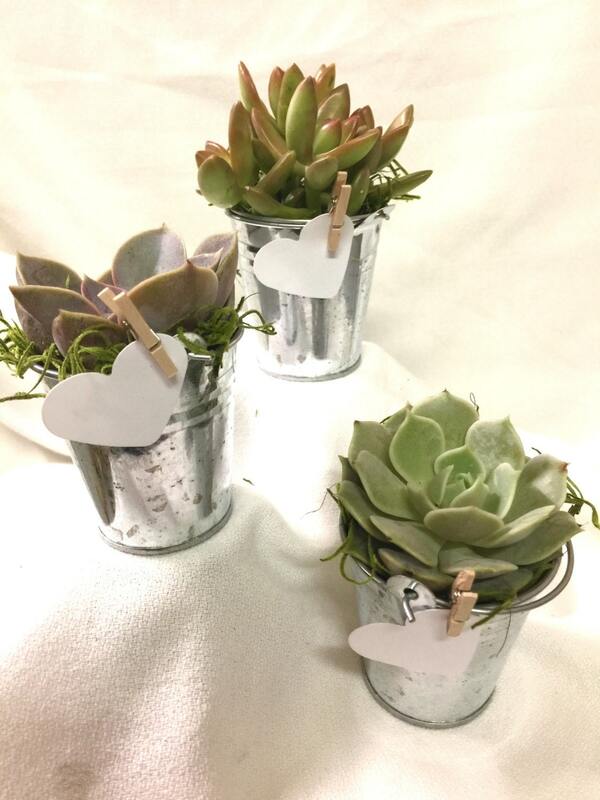 Succulent bucket favors, Assorted Premium succulents gifts galvanized wedding shower favors. 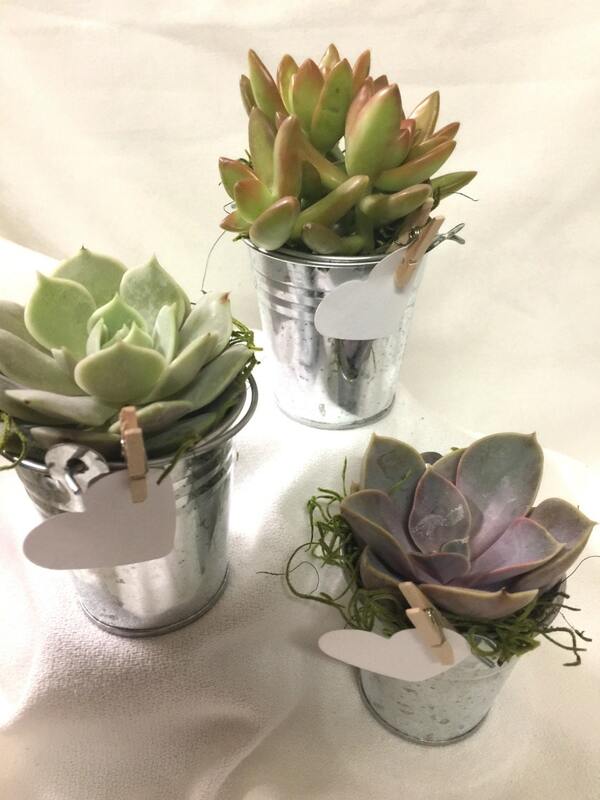 55 Tin Bucket includes a 2 1/2" inch succulent. 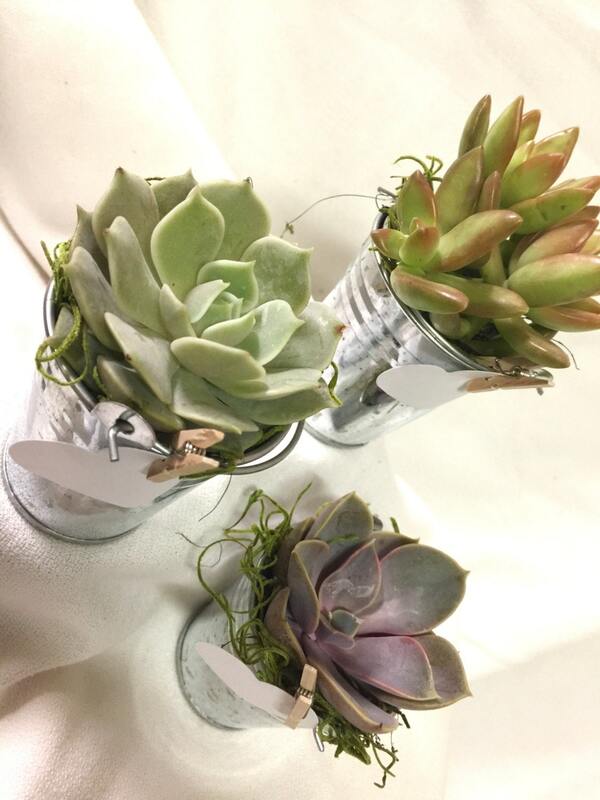 Each favor is clipped with a natural mini clothes pin and tag This listing is for quantity of 55 please message me with larger quantities if needed.